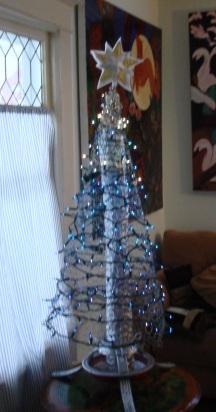 We made our tree in 1990 or 1989. It is beautiful, but was getting a little beat up and dull. My husband spray painted it with silver paint and perked it up. 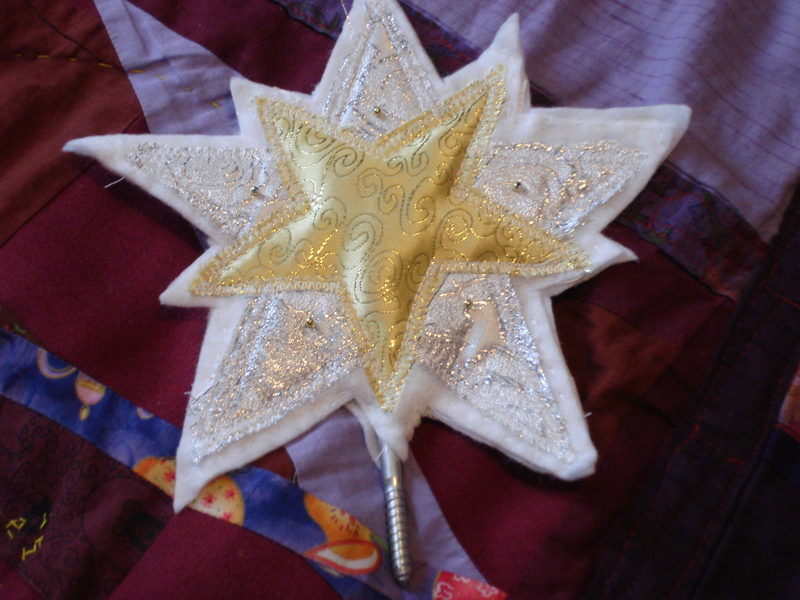 The star, however, orginally made from a clothes hanger, a white nylon stocking and gold ribbon was done. 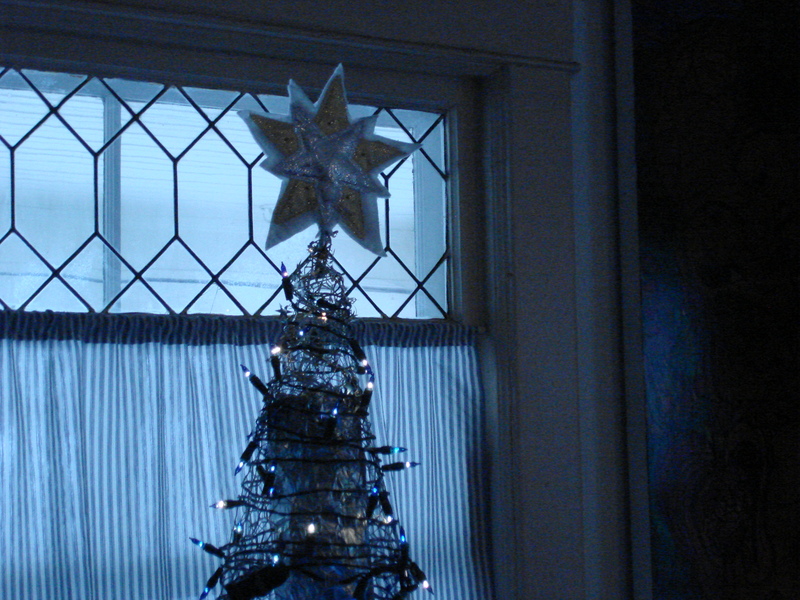 So, yesterday, I made a new star.